Employers: Do more than say "Thank You for Your Service"
When service members transition out of the military, they are not looking for a handout or charity. They are looking for careers that are meaningful and fulfilling. While veterans certainly appreciate hearing, "Thank you for your service," they need more. I have coached thousands of veterans and active duty military members about to make the transition. The common goal I hear is that they want work that leverages their skills and talents, and also has a sense of purpose for themselves, their employer, and the communities they serve. The talents and values veterans bring to the workforce are plentiful and compelling. For instance, veterans possess leadership skills unparalleled by most workers. At a young age, a service member likely was given responsibility for hundreds of troops and multi-million dollar pieces of equipment. Veterans are also resilient. They have been trained to adapt to rapid change, work in high stress situations, and stay calm in the face of danger. These skills empower veterans to think on their feet, find resources when faced with challenges, and use their experience to create solutions instead of waiting for someone else to fix a situation. When your company makes the commitment to hire military veterans the goal is to position your business and your brand in the best possible light with this audience. Find out how many veterans currently work in your company. This sounds simple, but some companies find veterans and military spouses are not self-identifying on job applications. Ask your employees if they have a military background. Get support for your veteran hiring initiative from the highest level of management in the company. Without this support, it may be hard to acquire resources and endorsement needed to build a sustainable and scalable program. Work with your human resources teams to identify jobs that are right for veterans. Look at the skills, experience, certifications, and training for the jobs you are recruiting for and ask, "Is there equivalent military experience that could qualify someone to do this work?" Veterans want to work for companies that enable them to do meaningful work. When they understand the mission behind the work (Why are we doing this work? Whose life is made better because of our product? How are we serving the needs of an audience? ), veterans contribute at exemplary levels. Is your recruitment process adapted to military? 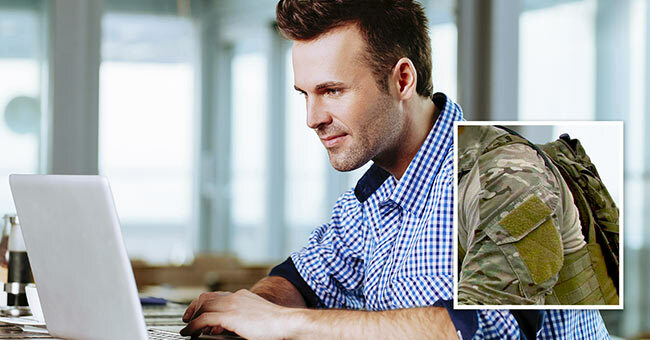 If you primarily recruit online, are you asking candidates to indicate military experience? Veterans are attracted to values (consider the values they lived by with their last employer). Position your company as "veteran friendly" on your website and in social media to build your brand position. Train your hiring managers to understand the veteran job candidate: What questions should you ask veterans (and what shouldn’t you ask)? What are the cultural differences between the military and civilian environments? Evaluate your hiring pipelines. If your business or facilities are located near military installations, this could be a great recruiting option. Remember that some who leave military service return home, and that might be far away from their last duty station. On board veteran employees to support their opportunities and challenges. Create affinity groups or support groups in the company for veterans to ensure they find mentors and resources unique to their needs. The current veteran population in your business can be invaluable in the development of a robust and sustainable hiring program. Enlist their help as focus groups, at hiring events, and on social media to tap into the experience of your veteran employees – today and in the future. Get your vendors and strategic business partners involved in your initiative. Learn from them. Tap into local and national veteran service organizations (VSOs). From veteran programs at trade schools, to organizations that feed directly into manufacturing jobs from military, there are VSOs and consultants ready to help you attract and on board your veteran talent. I have spent more than 20 years helping companies build and sustain valuable market positions through branding. Today, I can say with confidence that building a scalable and robust veteran recruiting, on boarding, and retention platform positively impacts employee morale, productivity, community goodwill, and the company brand. It’s also the right thing to do for those who have served.